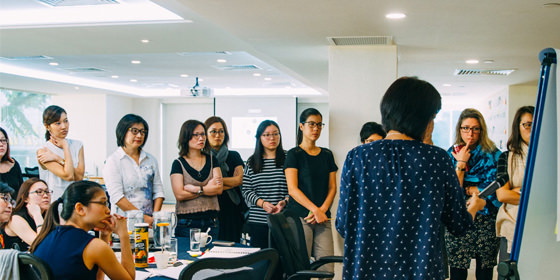 The Stories That Stick course is a business storytelling training workshop for organisations that want to enable their teams to better use personal narratives to and anecdotes to be remembered, sell ideas, build engagement and drive action. does your team struggle to talk about your business? Is everyone describing your brand differently? Do you have trouble getting buy-in from prospects? Are you losing clients because they are confused? 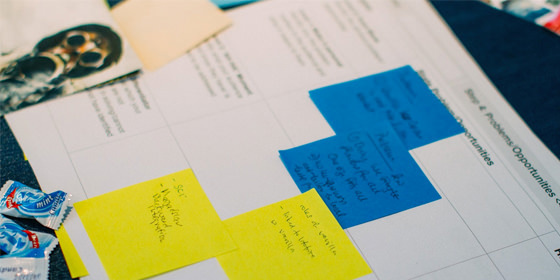 Is it time to refine your brand story? No one likes to feel sold to, yet we’re all in the business of selling something: an idea, product, service or even ourselves. 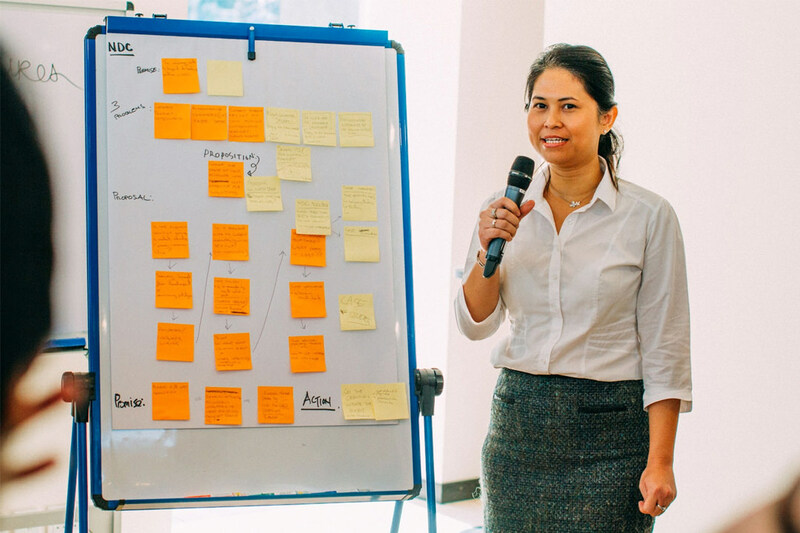 This workshop educates teams on how to harness the potential of effective storytelling techniques to influence, engage and inspire. Learn the best practices to communicate clearly and simply about your brand to prospects and stakeholders. Using the techniques and frameworks taught to continue to develop persuasive stories long after the workshop is over. If you use words to sell, you’ll benefit from this training. Register Now. The ability to tell relevant and compelling stories is important in any corporate workplace setting. It helps brand champions to build valuable relationships, communicate clearly and to drive positive change in your organisation. This business storytelling training is recommended for sales professionals, leaders and anyone who wants to present their story better. 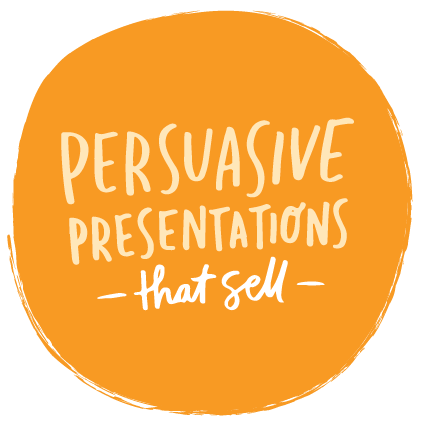 Learners get to experience our unique 5P Storytelling framework that is based on the science of persuasive stories and has enabled our agency to help our clients close million-dollar deals and raise millions in funding. They’ll learn a repeatable process to enhance new presentations they develop and transform the way they approach stories. Learn to frame your messages in a way that people get what you’re saying and resonate. Get your audience to take a step towards the objective. Learn to convert your messaging into action without making it feel forced. Boring, lacklustre presentations are always forgotten. Learn how to tell memorable stories that stick. 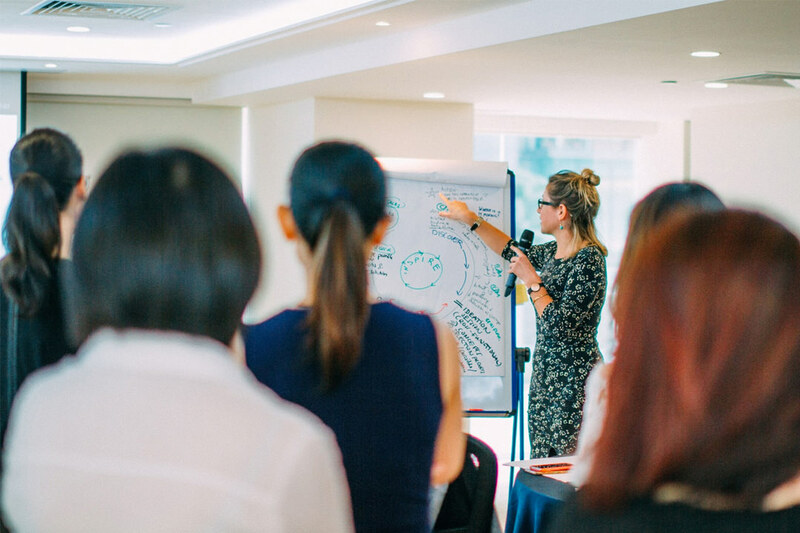 Detach yourself from the podium and learn instead how to connect with fellow human beings on a personal level with effective stories that stick. Can you come down to our office to do the training? Yes, we can send our trainer(s) down to your venue. For technical training, we’ll require a working projector for your staff to practice. What formats does this workshop come in? The Stories That Stick workshop requires adequate time to impart the concepts and frameworks we use to tell effective stories. We recommend at minimum a one-day course and in most cases a two-day intervention to ensure that learners understand and apply the techniques correctly. You won’t be needing your computer as the program will be run utilizing everyday office stationery like sticky-notes and markers. The aim of the workshop is to impart an ‘approach’ to storytelling with or without technology. What make-up of the teams are recommended? We often recommend this course to organisations with staff that are within the same team. 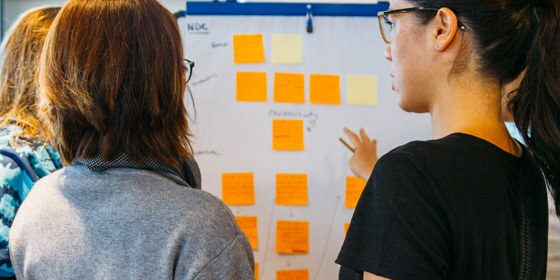 This way, via collaboration, we can complete the workshop with an immediate pay-off of a story that they can use to speak to customers and stakeholders moving forward specific to that team’s needs. Learn how to think like a designer and develop beautiful presentations that sell using data visualisation and design-thinking.